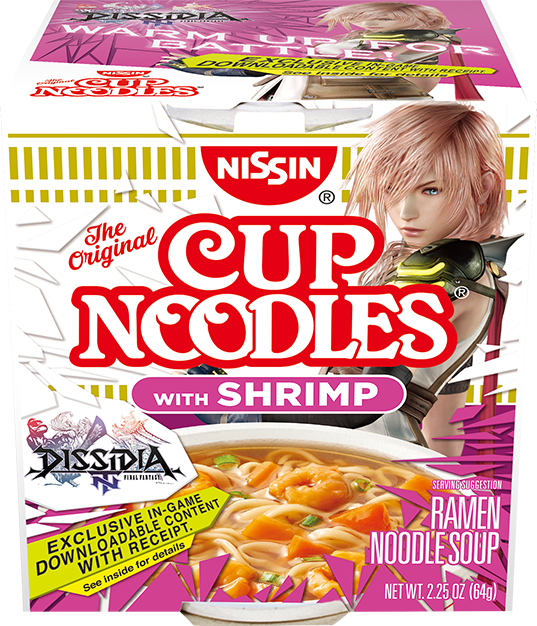 BUY CUP NOODLES. 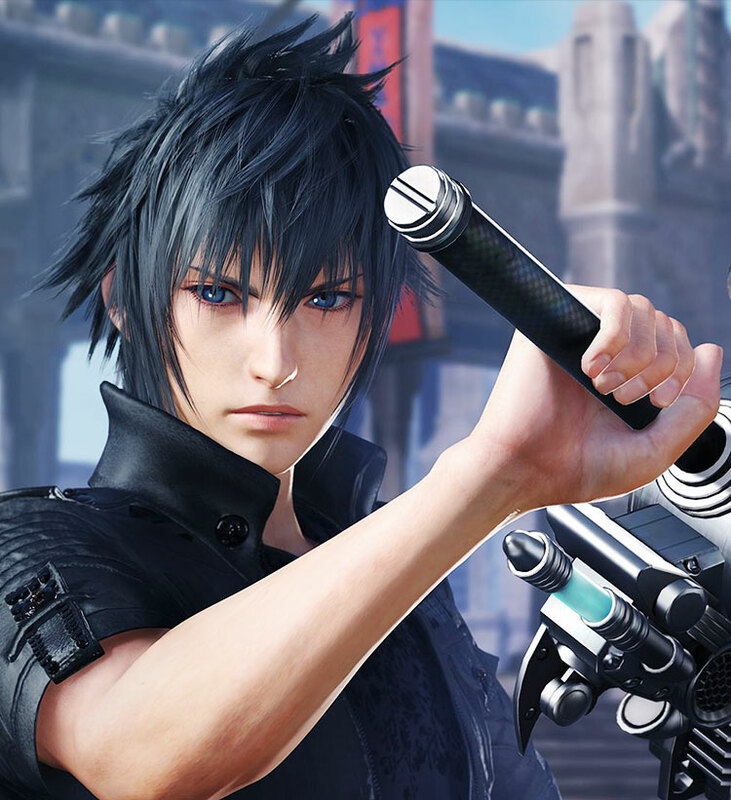 GET AN EXCLUSIVE NOCTIS ROYAL RAIMENT DOWNLOAD. 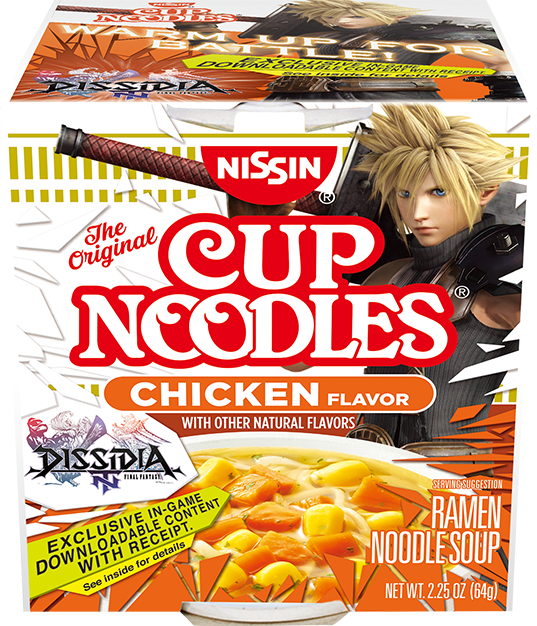 The Original Nissin Cup Noodles is proud to partner with Square Enix once again for this exclusive Dissidia Final Fantasy NT content. Be sure to save your receipt to redeem your code*, and you could be battling 3v3 while looking sharper than The Engine Blade. * You must complete the steps described below between 01/02/2018 and 06/30/2018 to take advantage of this offer and receive a code. Codes will expire on 1/30/2028. 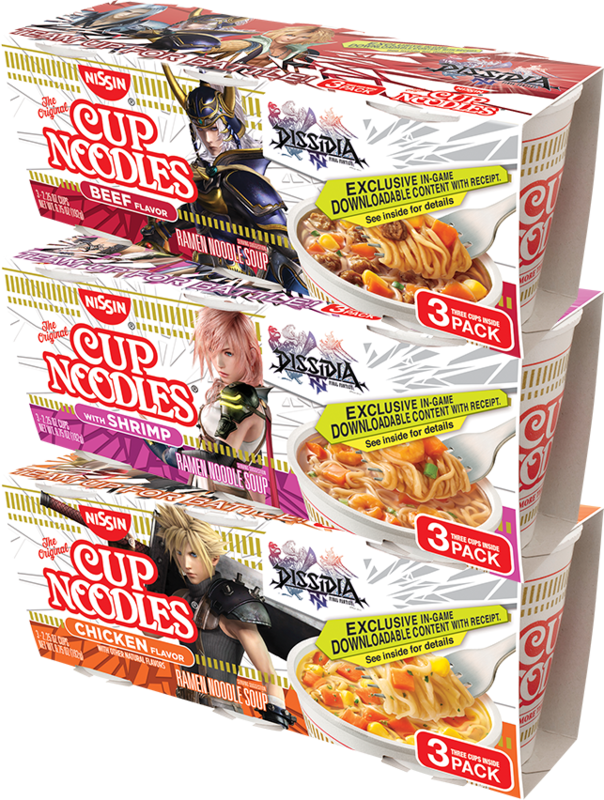 packs where you buy instant ramen! Enter code into PlayStation™Network to download exclusive in-game content. 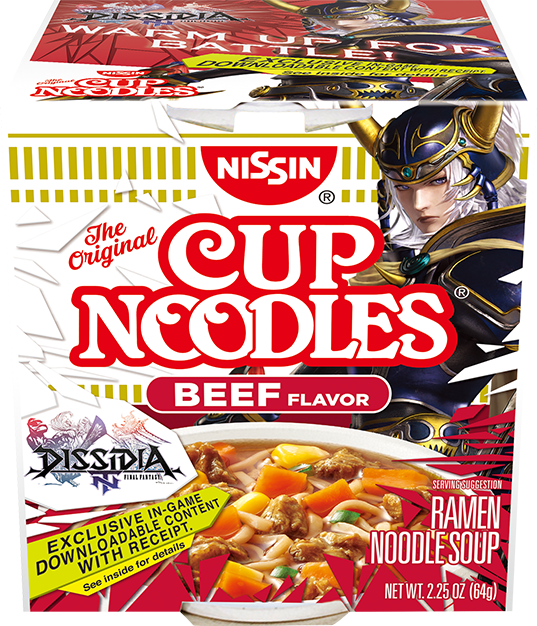 * *Shopper must own a PlayStation®4 and a copy of the PlayStation®4 version of Dissidia Final Fantasy NT to redeem the exclusive content. If you’re having trouble submitting your receipt, check out this quick, step-by-step video tutorial. Still having difficulty? Please contact Customer Support here.